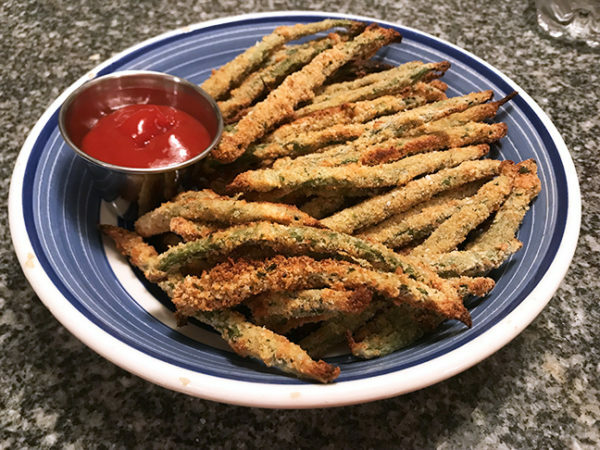 Crispy and savory, these green bean fries are a delightful 5-ingredient side dish to enjoy with good ketchup. My, how the world of food has opened up. Thirty years ago, if you ordered fries, you might have a choice of seasoned curly fries or regular. But other than that, fries were fries. 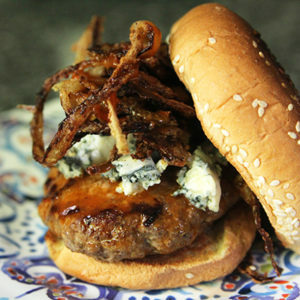 They were made from potatoes and accompanied burgers, hot dogs and other backyard barbecue/ballpark/fast food. These days though, we may fries from so many vegetables. Sweet potato fries. 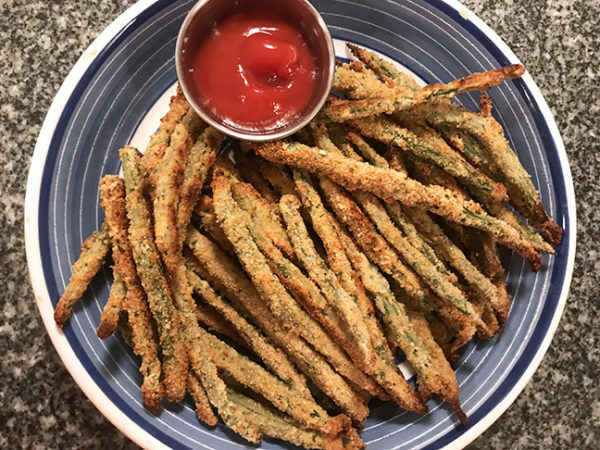 Avocado fries. Squash fries. If you’d told me 30 years ago that green bean fries would be an option — let alone an option I would like — I would have looked at you like you had sprouted an extra nose. 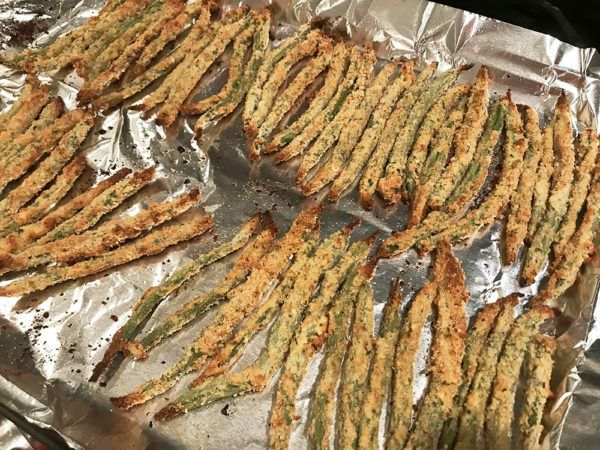 But as it turns out, simple dishes like this one — 5-Ingredient Baked Green Bean Fries — are the side dish I didn’t know I was missing. Making these vegetable fries is easy. 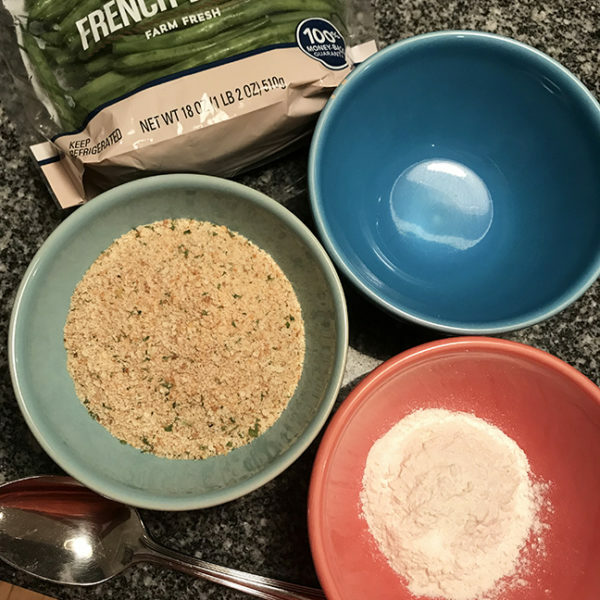 Start by adding the green beans and flour to a mixing bowl. Mix well. Then add the egg to the bowl and mix that in as well. You should coat every green bean. Finally, sprinkle with the breadcrumbs and stir well to combine. Again, you are working to coat every green bean. 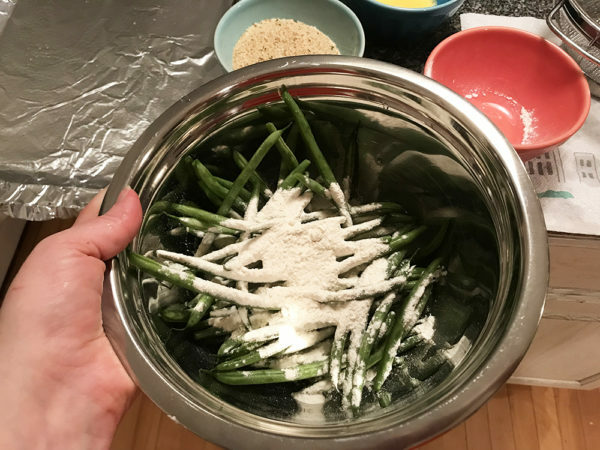 Spread the green beans out in a single layer on a baking sheet. Discard any excess breadcrumb mixture (though you really shouldn’t have any excess). These bake for 20 to 25 minutes, until they are golden and browned at the ends. Serve immediately. Also, it should be noted that these won’t reheat well. The surprise comes when you dig in. 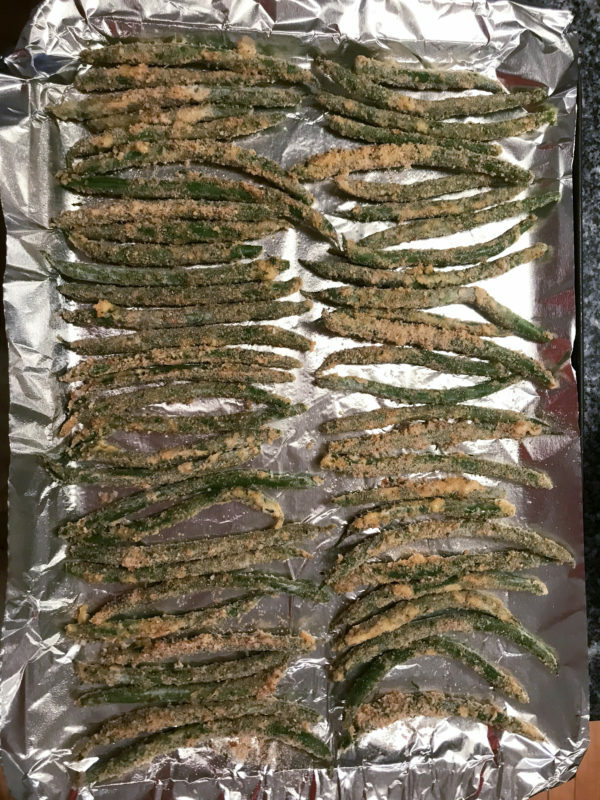 Who knew green beans could be so delightfully crispy? 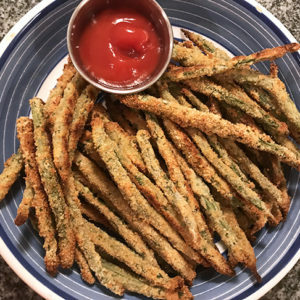 Crispy and savory, these green bean fries are a delightful side dish to enjoy with good ketchup. Preheat the oven to 400 degrees Fahrenheit. Line a baking sheet with aluminum foil and spray with cooking oil spray. 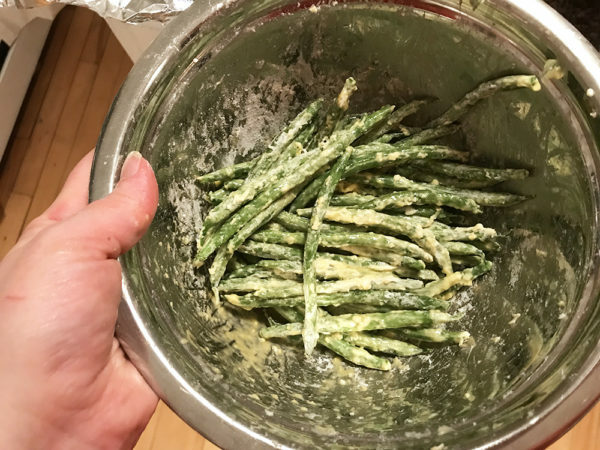 Rinse the green beans well in a colander. While they are still wet, transfer to a large mixing bowl and add the flour. Toss to combine. Pour the egg into the mixing bowl and toss well to combine. Sprinkle with breadcrumbs and toss well, taking care to get all the green beans coated. Spread out on the prepared baking sheet in a single layer. Spray with cooking oil spray. Bake in the preheated oven for 15 minutes. Check for doneness. Continue cooking, if needed for 5-10 minutes more until golden brown. My mom made stuff like this all the time when we were kids, we just didn’t call them fries back then!